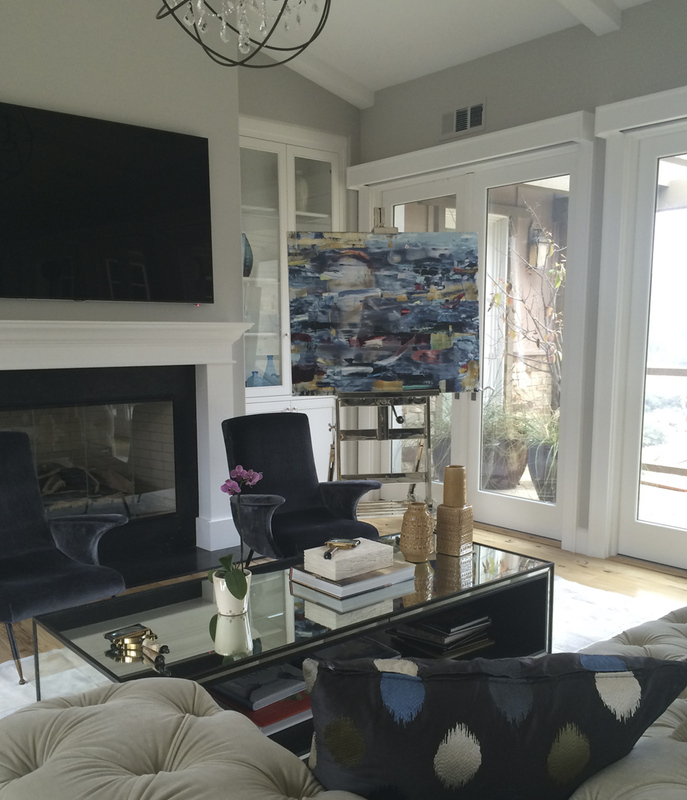 SLATE Art Consulting offers private residential clients on-site art consultation services. We meet with collectors in their home to identify their personal taste and goals, study their interior design plan, and identify and measure key art locations. We then follow up with personalized recommendations for each location. Depending on the clients’ interests and budget, SLATE will source art not only from our own gallery, but from other local and national galleries, from publishers throughout the US and Europe, from auction houses, art fairs, and direct from artists’ studios. SLATE has extensive experience commissioning work for private collections and also offers custom framing services, and appraisal, insurance, conservation, and restoration support. As a comprehensive service provider, SLATE can also oversee all art handling, including shipping and white glove delivery and installation. 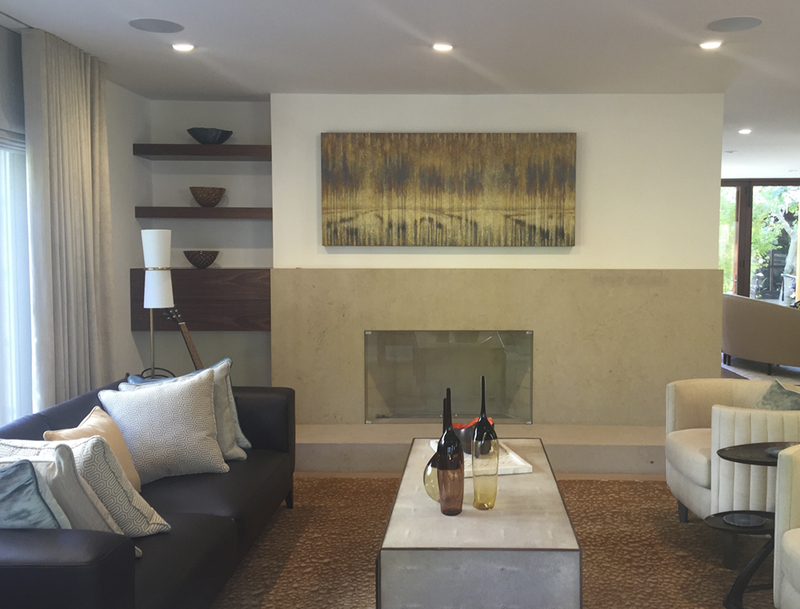 This mid-century modern home at the top of Skyline in Oakland underwent a complete renovation by architect Jack Backus, providing a beautiful blank ‘slate.’ SLATE spent several months working with the homeowner to build a private collection of Bay Area artworks. The client asked for work that would feel cool and contemporary, but also bring color into the space, feel happy, fresh and energetic, and not take itself too seriously. 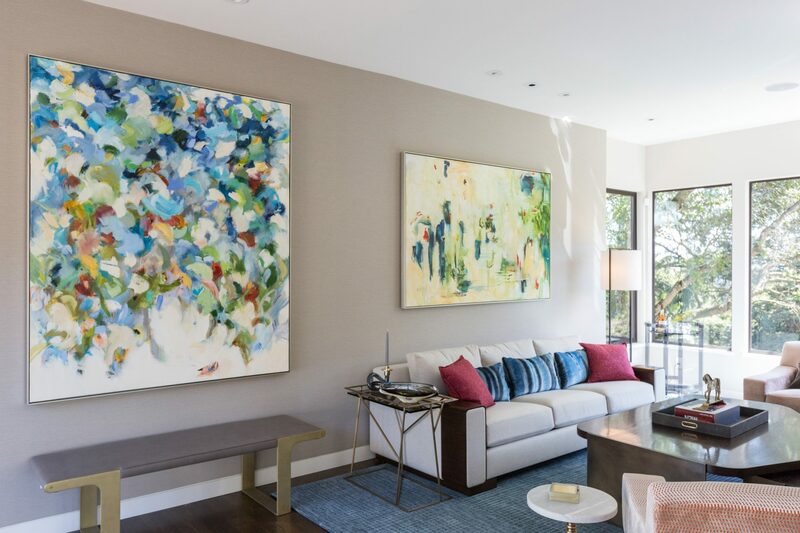 The consulting process included sending digital files, inviting the client to SLATE contemporary gallery to see works in person, and bringing works to the client’s home to view in situ. Two pieces (the large painting by Maria Burtis and the glass installation in the bathroom) were specially commissioned from artists in order to have the scale required by the space and the colors most loved by the client. 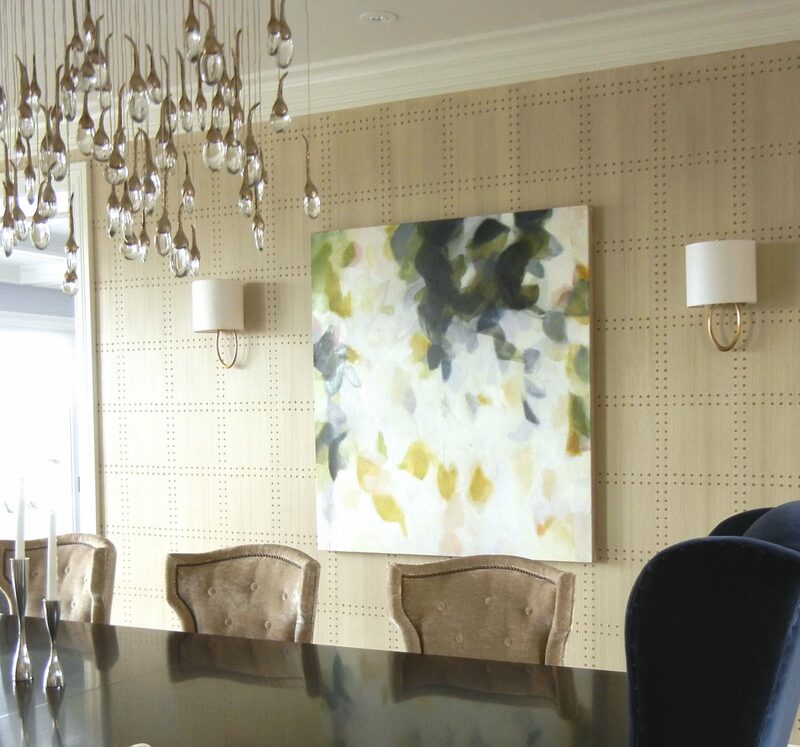 Laura Martin Bovard Interiors followed, pulling the entire interior design together with beautiful furnishings and finishes. For this Los Altos home, interior designer Leslie Lamarre sought to balance high style with the casual comfort of a farm-house aesthetic. 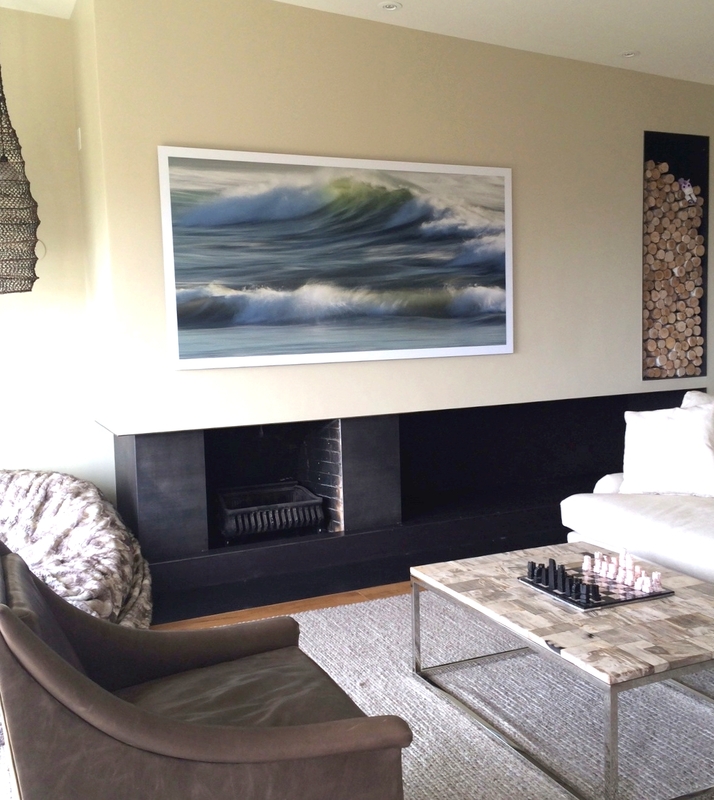 Having originally come to SLATE to commission a diptych by Andrzej Michael Karwacki for the living room, SLATE Art Consulting worked with her to select a complimentary painting by Maya Kabat and a photograph of a horse by Susan Friedman. 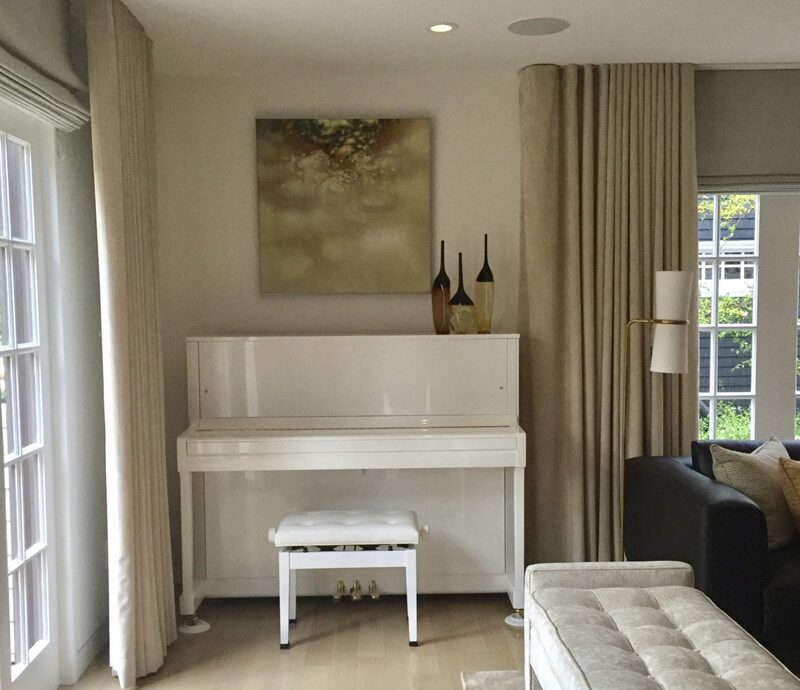 SLATE was honored to include several of SLATE contemporary gallery’s artists in this Pacific Heights remodel, which was marketed in 2017 as the most expensive residence in San Francisco. This special home was graced with unique architecture, luxurious finishes, and stunning views. Working with an interior designer, we selected art that would create moments of mystery and drama in the public areas, with more intimate and whimsical work in the guest-room and children’s rooms. After being introduced by interior designer Kellie Grosso of Maison Luxe, we worked with the owners of this beautiful Orinda home over the course of a year to build a collection of ten pieces. The art ranges from soft and atmospheric to contemporary, creating a stylish and confident contrast to the house’s traditional mediterranean architecture. 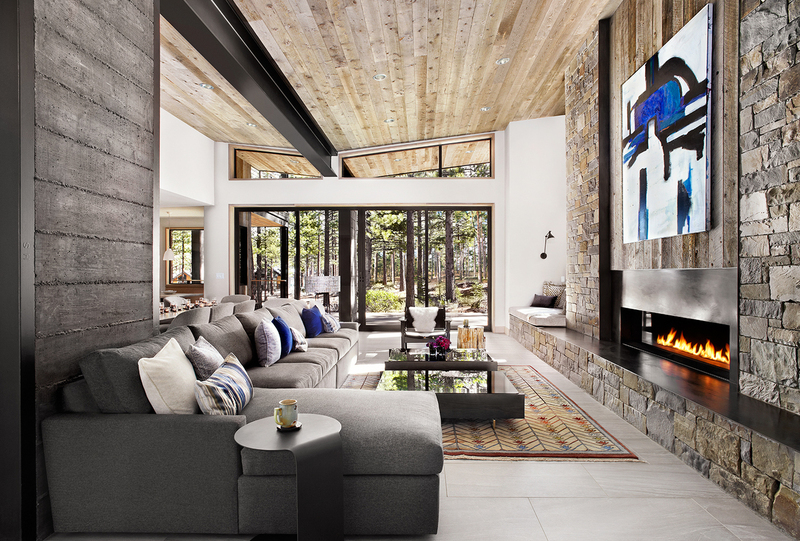 SLATE Art Consulting maintains a strong presence in the north Lake Tahoe area, with rotating exhibitions at the Ritz-Carlton at Northstar, staging projects with luxury real estate partners, and private clients at Martis Camp, Northstar, and Incline, to name a few. 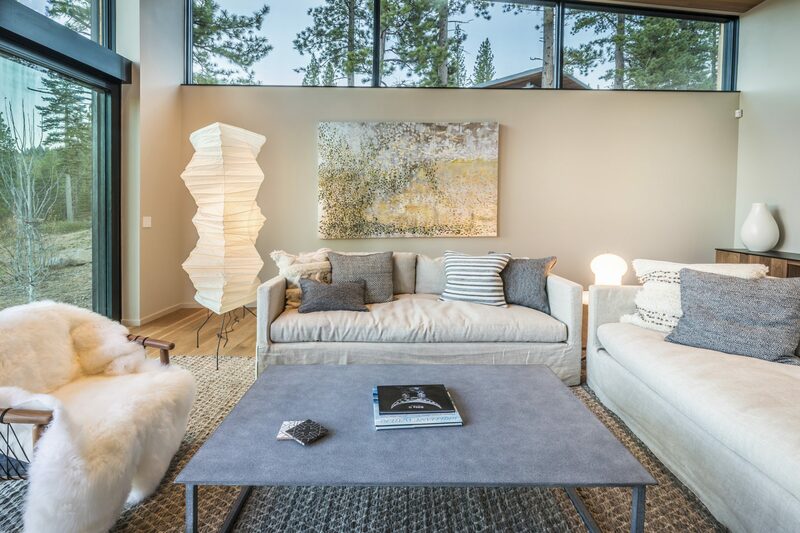 Our Director of Tahoe Operations, Robin Reiners, works closely with residential clients to curate contemporary art collections for their mountain homes.